In mid-March, GOP House and Senate members called on Attorney General Jeff Sessions to appoint a special prosecutor to work jointly with Justice Department inspector general Michael Horowitz in investigating alleged FBI and DOJ Trump/Russia probe abuses. House Judiciary chairman Bob Goodlatte and House Oversight chairman Trey Gowdy wrote Deputy Attorney General Rod Rosenstein, accusing the DOJ and FBI of failing to provide the FISA court with information about the Hillary/DNC-financed Trump-smearing Christopher Steele doggy dossier. GOP Senators Grassley, Graham and Tillis also called for appointing a special counsel to investigate these alleged abuses. The DOJ inspector general has no prosecutorial authority. The US Office of Special Counsel (OSC) is an investigative/prosecutorial federal agency. When called on, it’s authorized to probe alleged prohibited practices by current or former federal officials, empowered to prosecute if warranted by credible evidence. The OSC lacks jurisdiction to investigate or prosecute CIA, NSA and other US intelligence community staff. Instead, he named Obama-appointed US Attorney for the District of Utah John Huber to lead an investigation into alleged abuses explained above. Once completed, Sessions said he’d decide whether appointing a special counsel in warranted. Newly released documents obtained by congressional members show Obama officials cooked up dubious claims, alleging Trump team/Russia 2016 presidential election collusion. Since surfacing in 2016, not a shred of credible evidence supports them. Unverified allegations and accusations persist, unjustifiably justifying the appointment of Robert Mueller as special counsel last year. Since last May, he’s conducted a colossal sham Russiagate witch-hunt investigation, continuing endlessly despite finding no evidence of electoral process collusion or interference. Newly released information shows FBI, CIA, and undemocratic Dems used unverified “evidence” to claim Trump team/Russia 2016 presidential election collusion. Key officials involved in the scheme included Obama’s chief of staff Denis McDonough, his CIA head John Brennan (the plot’s likely architect), former undemocratic Dem Senate Majority Leader Harry Reid, former Deputy FBI director Andrew McCabe, former FBI director James Comey, Deputy AG Rod Rosenstein, and likely others. 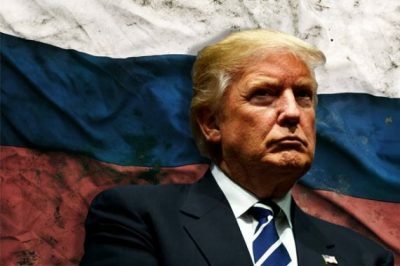 Is it smoking gun evidence enough to expose and end the witch-hunt Russiagate probe?